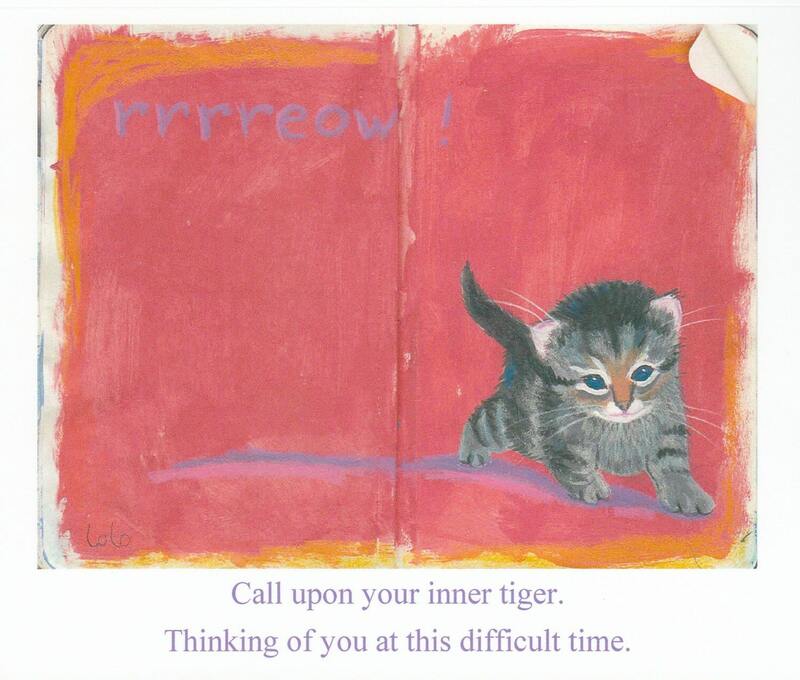 We all need to call upon our "inner tigers" when we are facing difficult times. I hope this little guy will bring a smile to the face of the recipient and give them courage in the face of struggle. **This illustration is in a sketchbook so the creases in the page will show as is. Super cute card- very adorable and well made. Thank you! Very cute. It served it's purpose for a friend in need of support.